The abstract submission system will close on 28 April 2019, 23:59 CET. This abstract receipt deadline will remain firm and any abstracts received after the deadline will not be accepted. Abstract submitters will receive an e-mail confirmation immediately after submitting their abstract. If you do not receive this e-mail, please contact the Abstract Department . 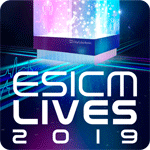 The Congress Committee of LIVES 2019, the 32nd Annual Congress of the European Society of Intensive Care Medicine, welcomes the submission of abstracts of original contribution to the field. Presenters of the 5 best abstracts will receive an award, including one free registration to LIVES 2020 (core congress) plus travel and accommodation (up to 1,000 Euro). one free registration to LIVES 2020 (core congress) plus travel and accommodation (up to 1,000 Euro). two runners-up will receive free registrations to LIVES 2020 (core congress). The ISF Abstract Award includes a free registration to LIVES 2020 (core congress) plus travel and accommodation (up to 500 Euro). Please read the instructions carefully before starting to submit your abstract. All abstracts must be submitted in English and must be submitted electronically. Therefore, no paper abstracts will be accepted. Abstracts not prepared correctly will not be considered for reviewing. Abstract authors should not split data to create several abstracts from one data set. If splitting is deemed to have occurred, scores of related abstracts may be reduced or abstracts simply rejected. The submitted abstracts will be examined anonymously by the ESICM Congress Committee. The authors will be informed of acceptance/rejection of their abstract by e-mail at the end of June 2019. All abstracts selected for presentation at the Congress will be either presented as oral or e-poster presentation and will be published in the ICMx Journal. Abstracts must be submitted in English and should not exceed 3,000 characters, including spaces. Images and tables may be included in the abstract. Do not submit abstracts reporting data already published. All accepted abstracts will be presented in e-poster form. A limited number of accepted abstracts will also be selected by the Scientific Committee for oral presentation. Instructions for e-posters and oral presentations will be sent to the corresponding authors after the review process. Preference will be given to new and/or ongoing work. Abstracts are to be submitted using the online Abstract Submission System only. ESICM EuroAsia does not accept submission of abstracts by mail, fax or email. The presenting author of an accepted abstract must be registered for the Congress. Submission of an abstract constitutes a formal commitment by the author to present the abstract in the session and at the time decided upon by the Congress Committee. One of the co-authors can take over if needed. Failure to present the abstract, for other than duly motivated reasons, will lead to rejection of abstract submission at the next ESICM Event. Registration fees for the presenting author will not be waived. ESICM does not accept case reports. The authors agree that ESICM will publish abstracts in the ICMx Journal and record the presentation for subsequent use, as it deems appropriate. The signing author certifies that any work with human or animal subjects related in this abstract complies with the guiding principles for experimental procedures, as set forth in the Declaration of Helsinki and related publications. Submitting an abstract also certifies that at the time of submission, the scientific material found within the abstract has not been presented at any other meeting and will not be published in any form other than abstract form prior to the ESICM Annual Congress.